Me encantan los bodegones coloridos, alegres. Y este bodegón es precioso. Thank you for your visit and your comment. Have a great day! Well done. I especially like the shading in the leaves. Thank you very much for your kind words and your visit. Have a great day! 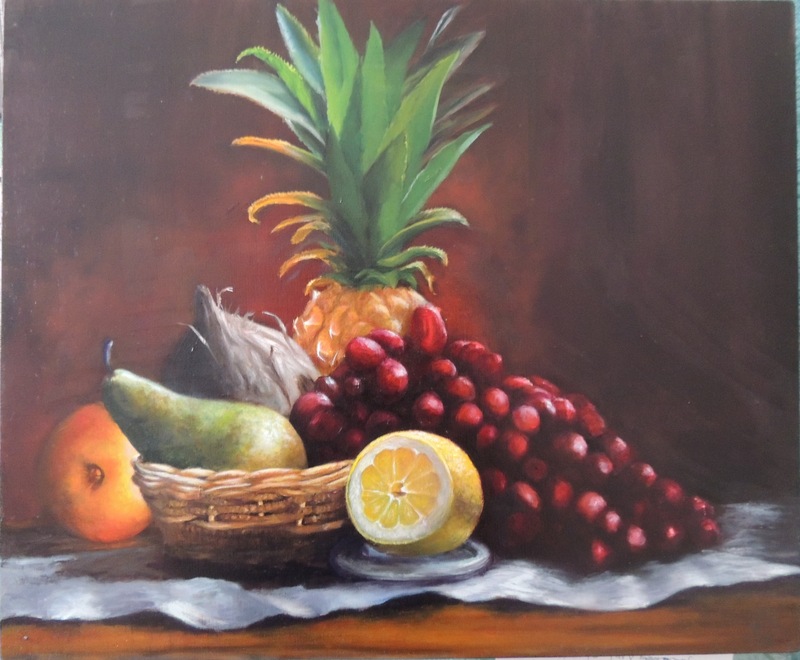 The fruits in the drawing almost tempt you to eat them. Beautiful artwork. Thank you very much for your kind words. Have a great week!